I had a daisy left over from a demonstration and was wondering what to do with it. I had also been demonstrating a variety of techniques with embossing folders, including inking them and/or inking over the embossed surfaces ... and so was born this card! 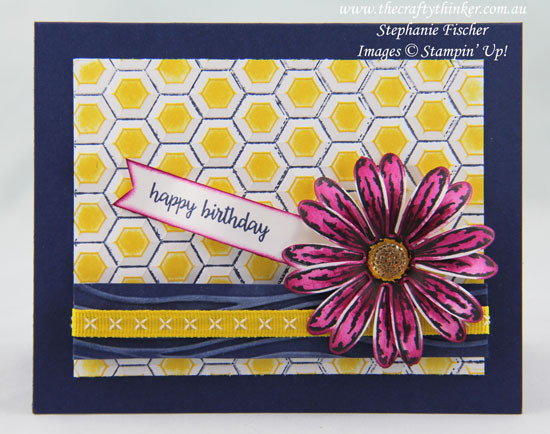 Only one more sleep until the new 2017-2018 Annual Catalogue products are released, including the Daisy Delight Bundle, Happy Birthday Gorgeous stamp set, Double Stitched Ribbon (here in Daffodil Delight), Berry Burst ink and Faceted Gems (I've used a gold one). 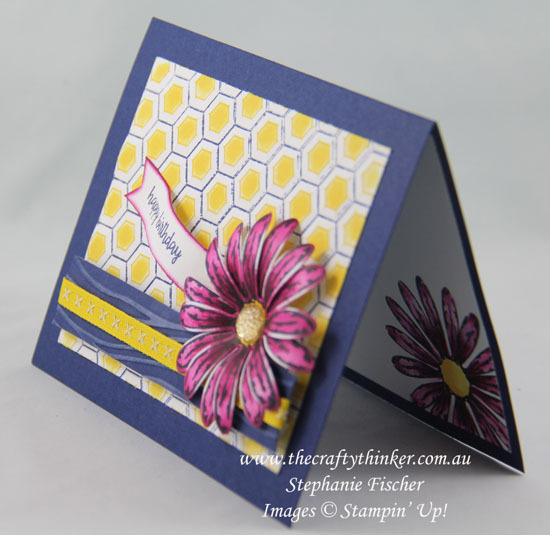 The Hexagons embossing folder was inked with Night of Navy before use. A brayer was used to add Daffodil Delight ink to the raised embossing. The remainder of the products that I have used are already available and continuing into the new Catalogue. 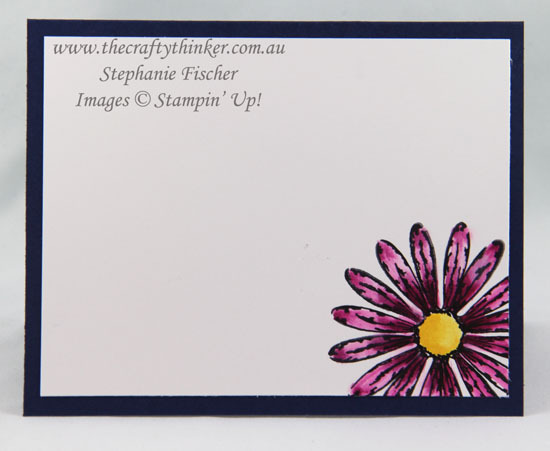 I stamped the daisies onto Whisper White cardstock with Basic Black ink and then watercoloured them with Berry Burst ink and some Daffodil Delight for the centres. For the daisy on the front of the card, I stamped two then punched them out with the matching punch and attached them together, offsetting the petals. For the daisy inside the card, I simply stamped twice, offsetting the petals.